I’ve been hearing a lot about macaroons and reading recipes for this french treat and was curious to try out this new “it” thing. Now that the cupcake bubble seems to have burst -Crumbs- sad face! it looks like Macaroons are the new happening in the pastry sweet tooth world. This summer I made a point to visit Laduree in NYC. This was my first time visiting and trying out macaroons and I was delightfully pleased with both experiences! I made reservations for my sister, niece and I on a warm Friday afternoon through OpenTable.com its free and easy just sign up, make your reservation and your seat is guaranteed. It was a rather quiet aftternoon at Laduree although there were a couple of people in the dining area, it felt like it was just us at the place. We opted for the indoor dining room as they also have an outdoor garden which is just as dreamy but a bit crowded. The decor and feeling inside was too nice to pass up. I hear this is a great place for brunch which I’m sure is great. We ordered mini burgers with fries (which were delicious) and a salad with an assortment of Macaroons. I forgot to order tea with my macaroons but everything about the visit was fantastic really, from the service, food and overall experience this visit definitely has me wanting to visit Paris someday. I was enamored with the blue velvet in this room! We couldn’t leave without taking home some goodies! Purple is always one of those colors I gravitate toward first when I seem to snap out out of my neutrals hump I tend to get into every now and then. It’s definitely no wonder it became Pantone’s color of the year considering the harsh and dark winter just passed. My first polish for the warmer months was Essie’s Nothing Else Metals and now with my golden summer tan this polish looks amazing. I also added MAC’s Vibrant Grape eye shadow to my palette as seen here and it has been my go to this summer for everyday purple eye looks to help enhance my brown eyes. Whether it be Amethysts, radiant orchid or Lavender just plain purple, its a very soothing color to incorporate into one’s wardrobe, decor and even diet. 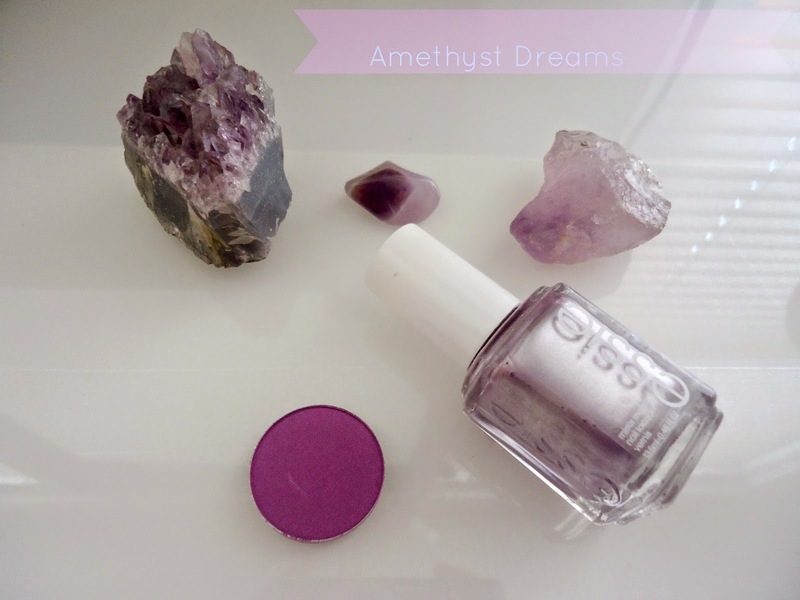 Amethyst Stone| Amethyst is one of my long time favorite stones. 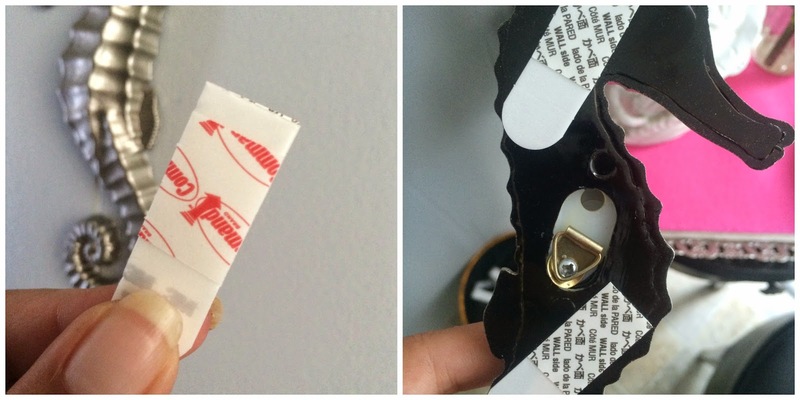 I use it primarily to assist with sleep, dreams as well as protection. 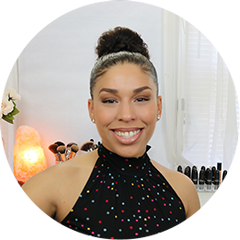 Lavender Oil| Lavender oil is my go to essential oil for everything. I use it as an on the spot pimple treatment to calm my skin, I also use it with rose water as a toner, and a stress reliever. I always carry a q-tip with me to apply some throughout the day especially if dealing with stressful situations. 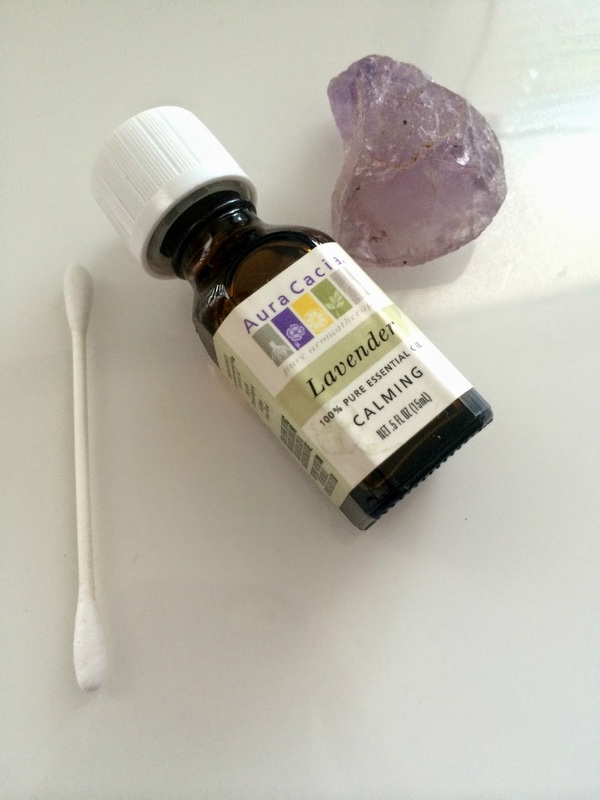 I also incorporate Lavender oil to my facials and hair recipes. This past weekend I dedicated a few hours each morning to a few D.I.Y projects I’ve had in mind. Although I did not work on them all at the same time, I did revisit and jotted down a few ideas. I was inspired to finally work on this one which I’ve been meaning to tackle since last summer. 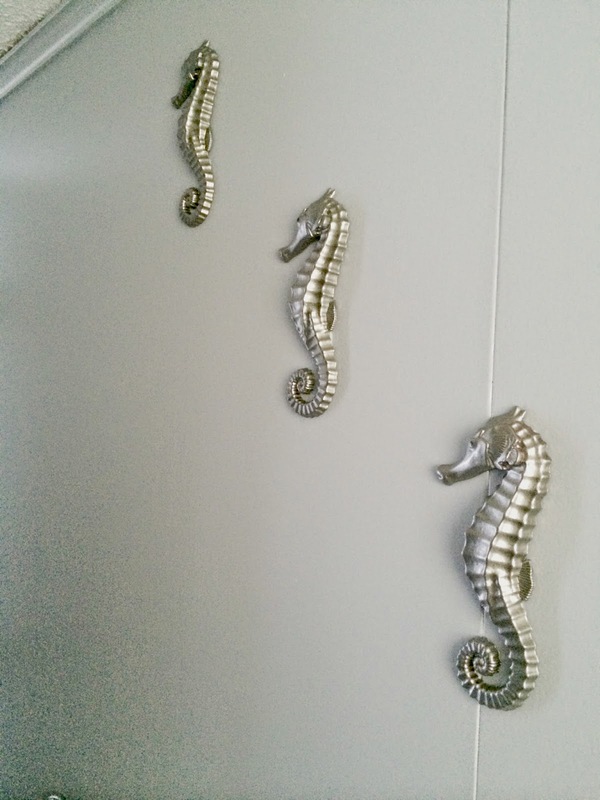 Sea Horses is one of my favorite animals and have been adding a few pieces to my bathroom decor such as grays, silvers, whites and some touches of black as well. I purchased these seahorses for $12 about 2 years ago on Amazon. Back then my decor was a bit more colorful so these seahorses fit right in, but right now I’m going for a more sleek and cleaner decor which called to give these seahorses a glamorous touch. I went to my local hardware store and purchased a Silver metallic spray for $4 and sprayed painted the seahorses. I love how they turned out and it was exactly how I wanted them to which is this subtle Metallic look without that high sheen. 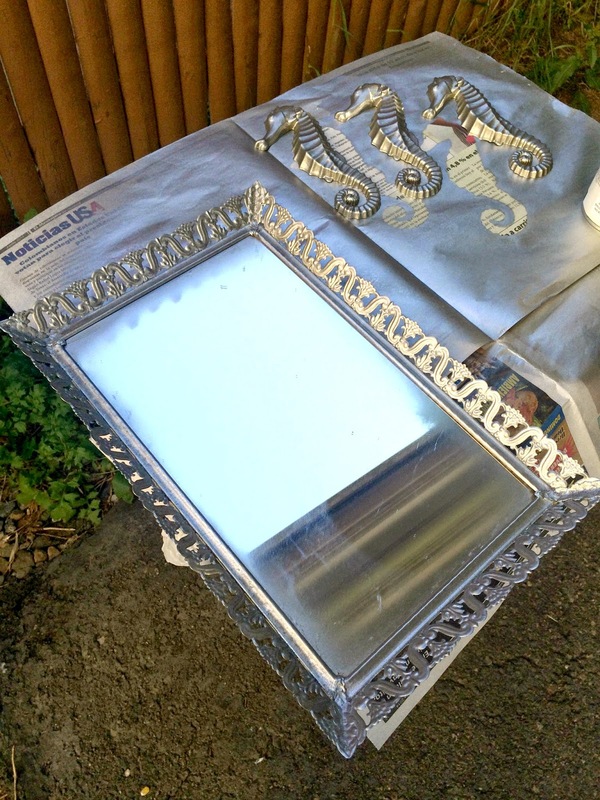 I got a little spray happy and spruced up a tray mirror I had lying around too! Once they dried I added the eyes with a black sharpie marker. I also spruced up this shabby old mirror. I simply stuck them to my wall and the final product below….